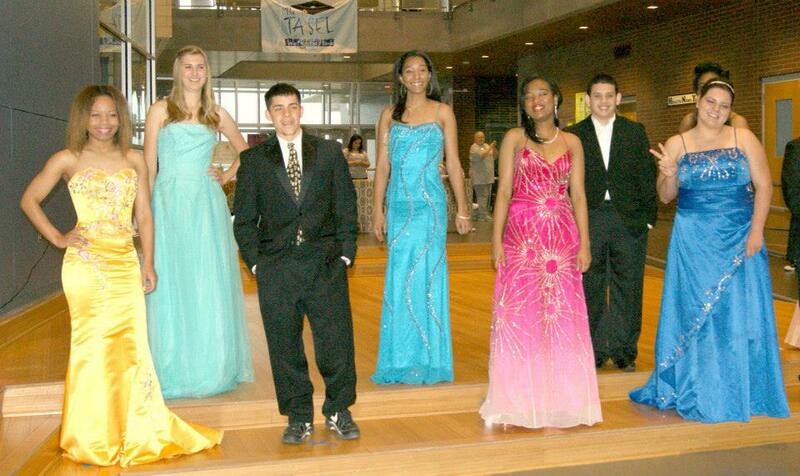 BuzzFree PROMMADD North Texas, The Alliance on Underage Drinking (ALOUD) and Recovery Resource Council will host the BuzzFree PROMises Dress & Suit Giveaway at 10 a.m. March 30. The giveaway will be held at 2019 at Yvonne A. Ewell Townview Magnet Center, 1201 E. 8th Street, in Dallas. Prom night is a celebratory moment for teens but when alcohol and other drugs enter the picture, the consequences can be devastating. Excessive teen drinking kills about 4,300 young people each year — that’s more than all illegal drugs combined. A primary concern parents have about prom night is that their teen will drive drunk or drugged and get into a crash. Statistics show that talking to teens about alcohol and working with them to take safety measures can make a big difference and save lives. High school students who use alcohol or other substances are five times more likely to dropout of school or believe good grades aren’t important. The BuzzFree PROMises Dress & Suit Giveaway helps local teens (girls AND boys) obtain prom attire but includes educational components not usually found in other prom attire giveaways. In exchange for their pledge to remain drug-and alcohol-free, students participate in a variety of workshops and are rewarded with a prom dress, tux, or suit. Many of the dresses are new with tags and have been generously donated by Whatchamacallit Boutique. The event will include a fashion show, keynote speaker, small group sessions, hands-on activities, and door prizes. Lunch will also be provided and is being sponsored by AAA Texas. This event comes during MADD’s PowerTalk 21 Campaign, which runs from March 1 through May 31 and is part of MADD’s year-round Power of Parents program. Based on two decades of research, Power of Parents encourages and supports parents in their efforts to communicate with their middle and high schoolers about drinking alcohol, which has been shown to reduce drinking behaviors by 30 percent. Parents can access effective resources, including the new topical guidebooks and a free 30-minute parent workshop at madd.org/powerofparents. Founded in 1980 by a mother whose daughter was killed by a drunk driver, Mothers Against Drunk Driving® (MADD) is the nation’s largest nonprofit working to end drunk driving, help fight drugged driving, support the victims of these violent crimes and prevent underage drinking. MADD has helped to save nearly 380,000 lives, reduce drunk driving deaths by more than 50 percent and promote designating a non-drinking driver. MADD’s Campaign to Eliminate Drunk Driving® calls for law enforcement support, ignition interlocks for all offenders and advanced vehicle technology. MADD has provided supportive services to nearly one million drunk and drugged driving victims and survivors at no charge through local victim advocates and the 24-Hour Victim Help Line 1-877-MADD-HELP. For more information, please visit madd.org, or call 1-877-ASK-MADD.